I've had this pie on a few occasions now, and every time it tastes better than ever. 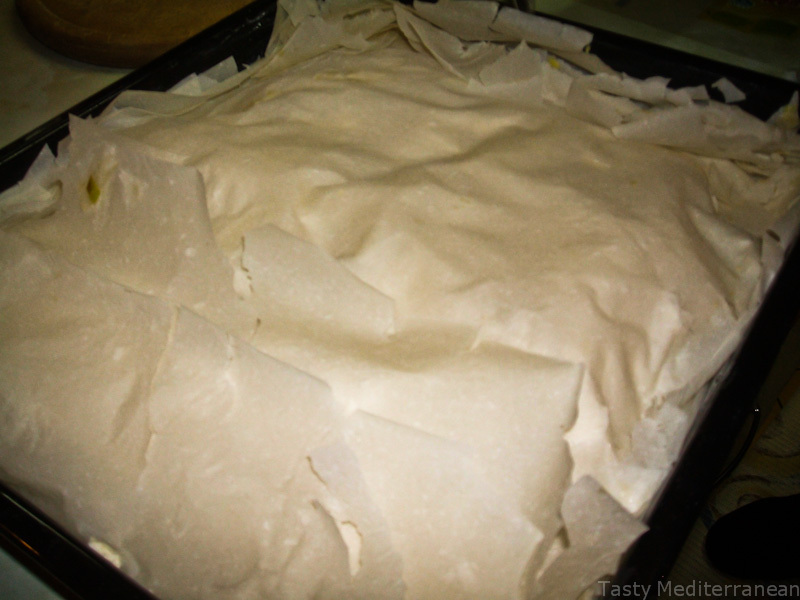 It's my dad's proven recipe and since he is so awesome, I've decided to watch him make it, help around and put the recipe up, so everyone else can enjoy it :-) The great part is that you can fill it with absolutely anything your heart desires... Veggies work (spinach works really well), meat... Really, any leftovers would do :-) The only "must" is that you really MUST try it because it's extremely delicious, yet quick and easy. 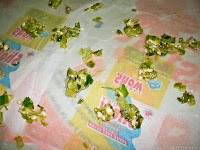 - In a skillet, add the oil, leeks and seasoning. Sauté for about 10min over a medium high heat. 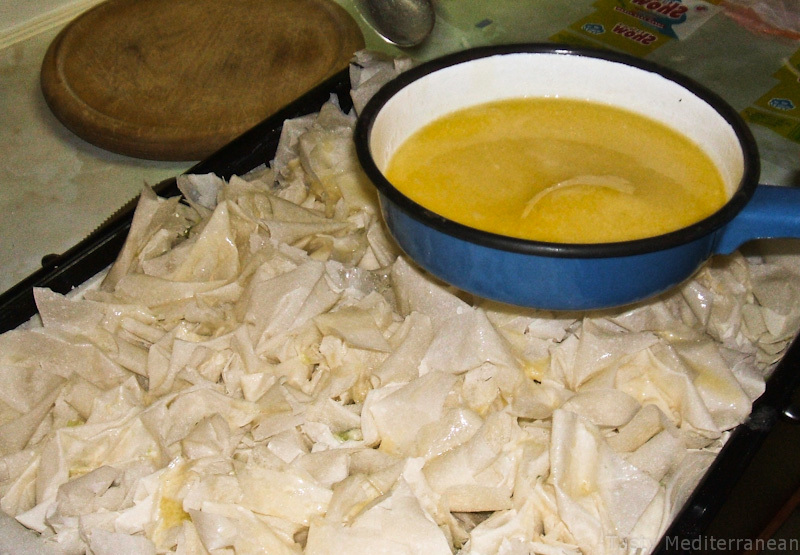 Mix in the cheese and set aside. 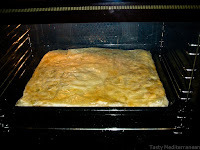 - Preheat your oven to 200 C degrees and generously brush a baking dish with oil. 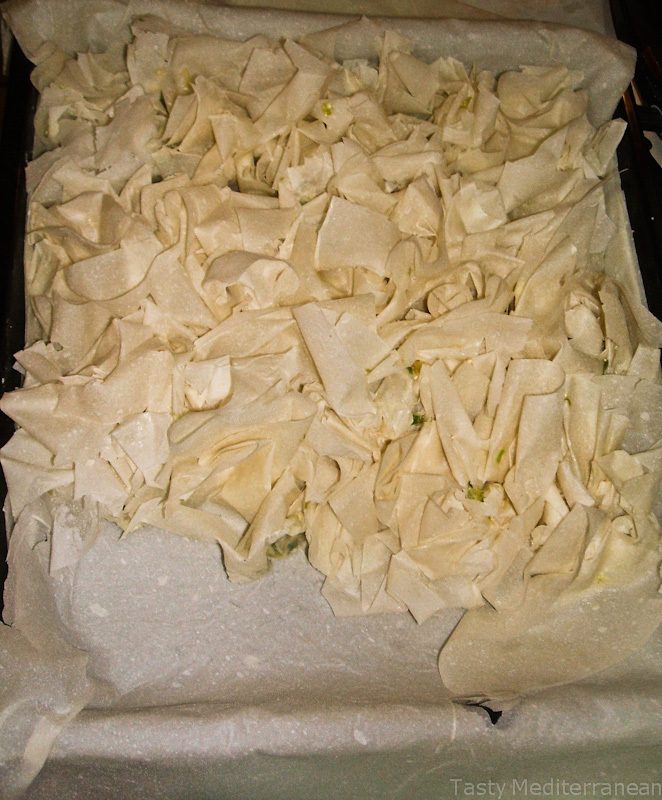 - Place 4 filo sheets on the bottom, letting the edges fall out on each side. 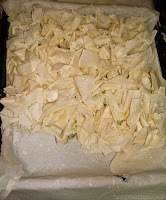 - Place a filo sheet on a cutting board* and sprinkle some of the leek and cheese mixture. 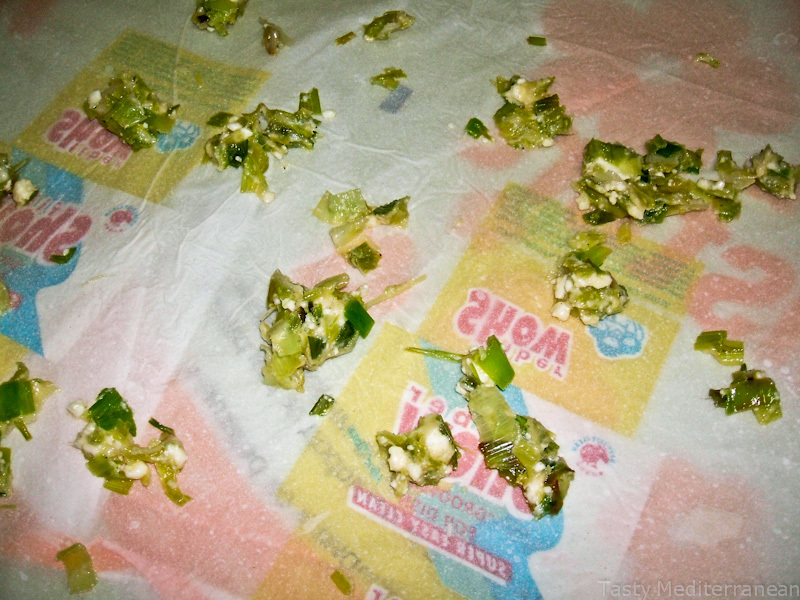 Crumple it with your hand and place it in the dish. Repeat the process and line up the crumples one next to another. - Melt the butter and water together. Spoon the mixture over the crumples, then put the hanging edges of pastry on top to act as a cover. 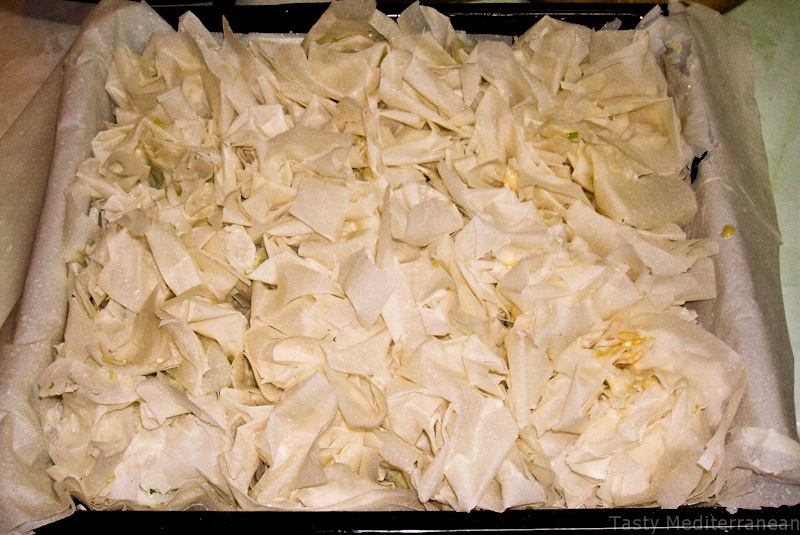 If they aren't long enough to cover the pie, place a whole filo sheet on top, to ensure the pie is covered. - Bake for 15min, then flip by putting a plate or another baking dish on top, flipping the pie and sliding it back in. 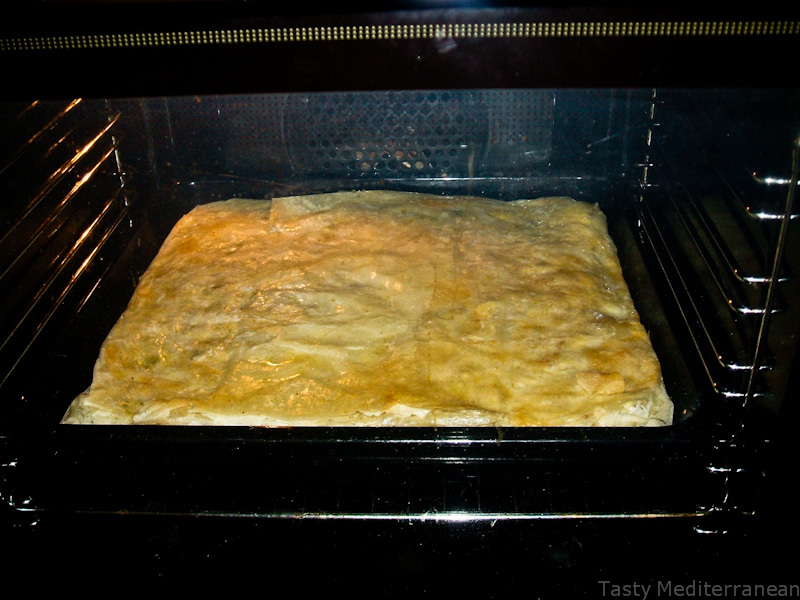 Bake for another 25min and enjoy this delicious Pita! 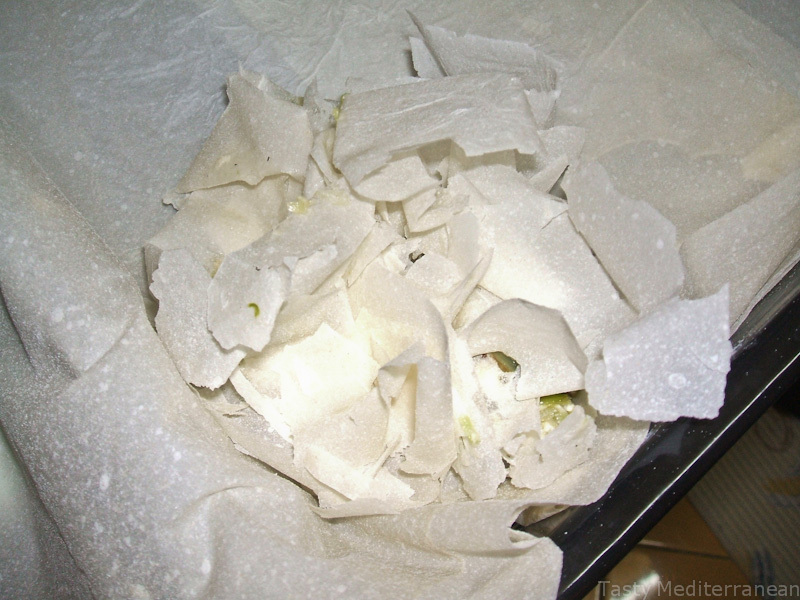 * Place a clean plastic bag on the cutting board, so you ensure easy movement for the pastry. If it's hard to move around, the pastry might break.